A detailed interpretive guide to the 16 “face” cards of the tarot that reveals their core identities and special purpose in a person's life. 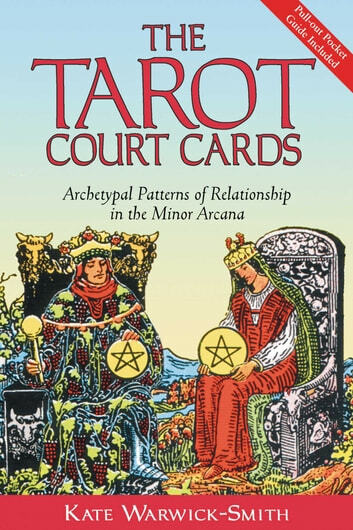 * The first tarot book to focus exclusively on the court cards. * Shows how the “face” cards can clearly and accurately reveal the specific nature of the support-based relationships in one's life. * Includes tarot spreads and potent techniques for contacting these powerful archetypes through meditation and pathworking. The Tarot Court Cards gives fresh meaning to the 16 “face” cards of the tarot--the King, Queen, Knight, and Page. In contrast to the idiosyncratic and confusing interpretations that are presented in many tarot books, Kate Warwick-Smith shows how these cards embody archetypal patterns of relationship that offer greater enlightenment than ever before. Using the Kabbalah, she reveals the core identities of the Minor Arcana's court cards and their special purposes as supporters, detractors, inner resources, and challenges in our inner and outer life. She shows how the court cards can be used to identify your true tribe or clan--the specific people who support you in unique ways, such as your mentor, champion, protector, or healer. She also shows how the court cards can help you identify your inner resources and challenges--insight, discipline, passion, or greed--that enhance or hinder your efforts in the world. Using both new and traditional interpretations, the book also presents new tarot spreads and potent methods for contacting these powerful archetypes through meditation and pathworking. Both seasoned tarot readers and newcomers will find this book helps them achieve practical and insightful results.